ISU students walk through Schroeder Plaza near the Quad in August 2017. 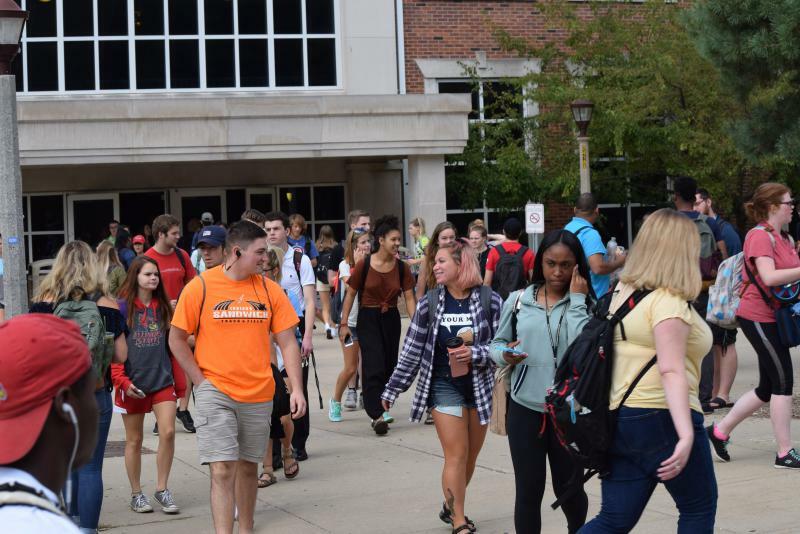 Illinois State University enrolled fewer new freshmen and transfer students this fall, ending three straight years of record-breaking growth, officials said Wednesday. ISU has 3,352 freshmen this fall, down 9.3 percent (or 342 fewer students) from fall 2016. ISU also saw an 11.7 percent decline in the number of new transfer students (239 fewer students). ISU’s overall enrollment—including upperclassmen and graduate students—remained relatively steady, despite recruiting pressures from out-of-state competitors and uncertainty about the state budget. ISU’s total fall enrollment (20,784 students) is down 1.2 percent versus fall 2016 (21,039 students). 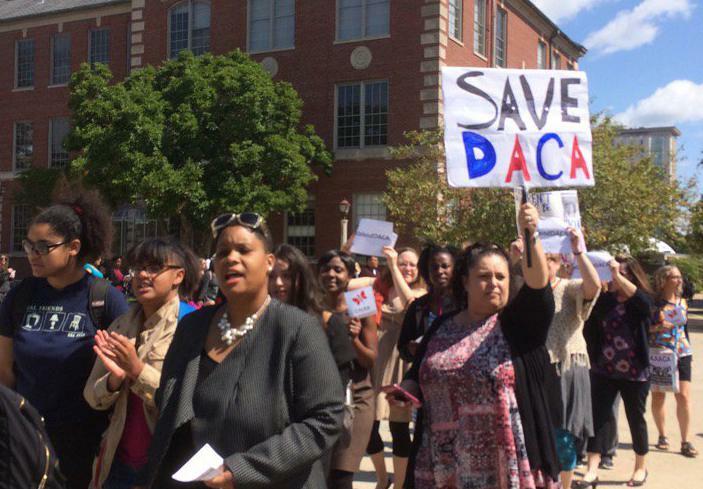 One bright spot this fall was an overall 2.4 percent increase in graduate students—the highest graduate student enrollment in the past three years. The academic caliber of ISU's new freshman class remained flat from 2016. The average high school GPA is 3.4 on a 4.0 scale, and the average ACT score is around 24. 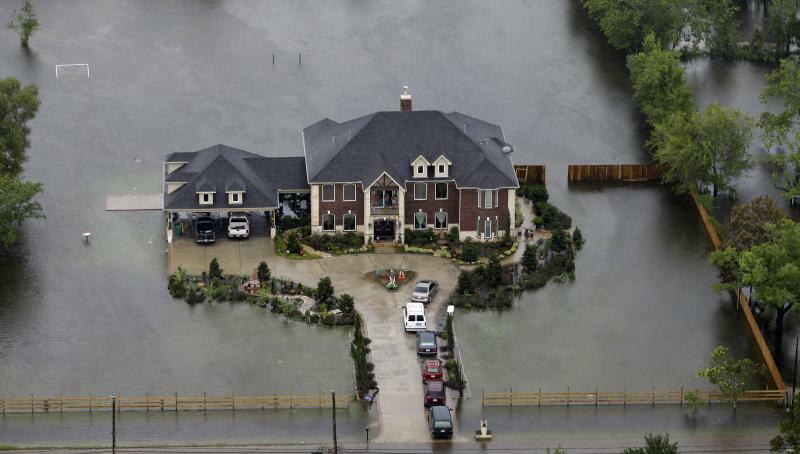 Many people have been struck by the strength and persistence of Hurricane Harvey, still drenching the Texas Gulf Coast with a record amount of rain recorded in one event in north America. 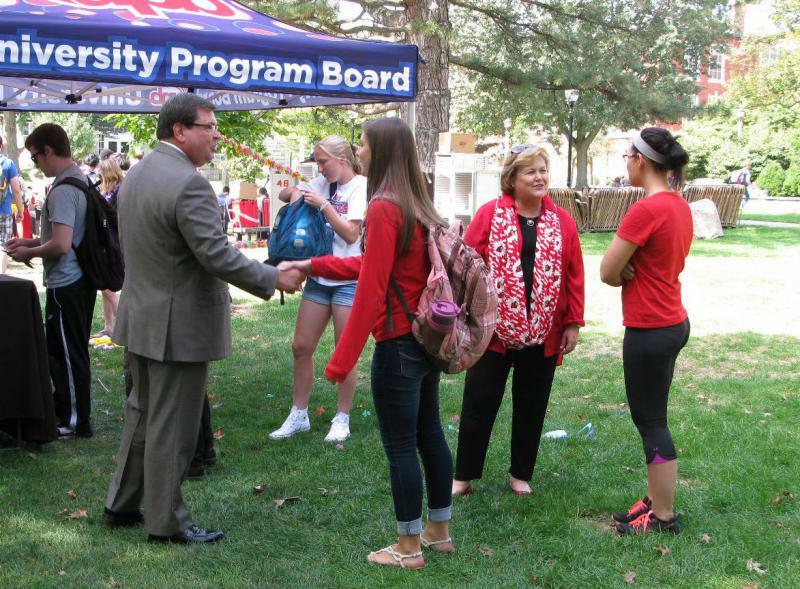 Illinois State University's Board of Trustees must vote again on the contract employing President Larry Dietz. When the board approved the contract Aug. 6, it turns out four of them weren't trustees at all.